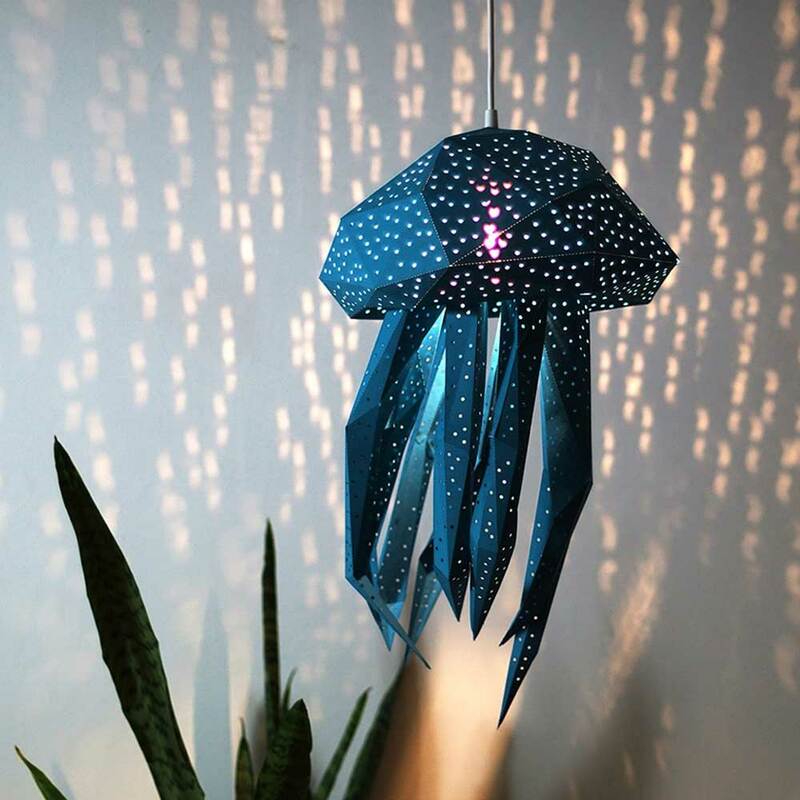 The Vasili Lights studio is inspired by the Nordic seaside and the oceans’ many bioluminescent creatures, they create paper craft lampshades in the shape of aquatic animals: the turtle, the dolphin, the fish, the octopus, and the jellyfish. Each lamp is a reflection of their architectural background and is designed with an eye for detail. 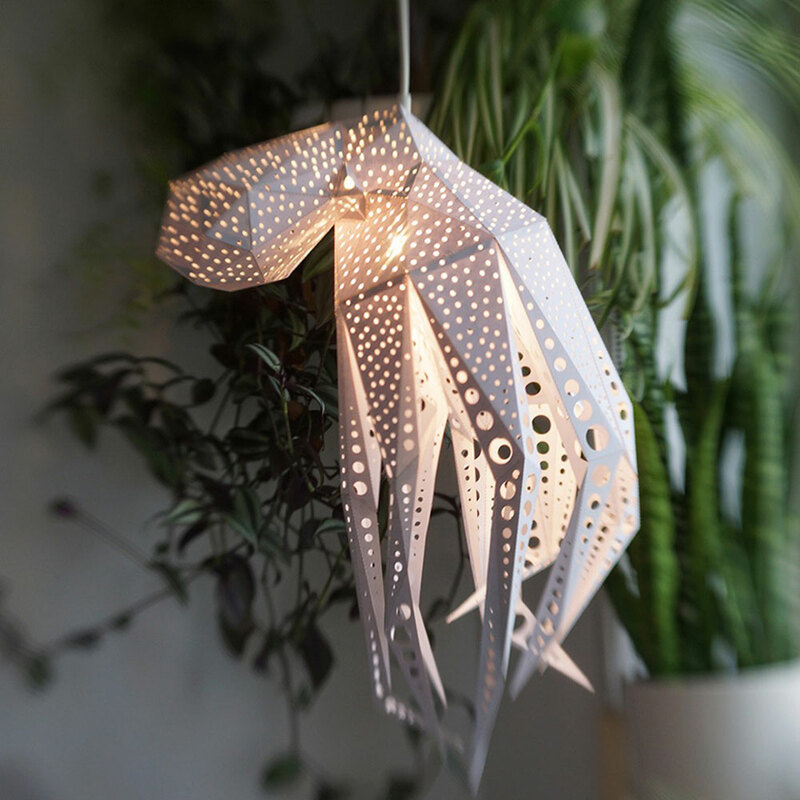 The lampshades are sustainable papercraft designs, which are fun and easy to assemble at home. 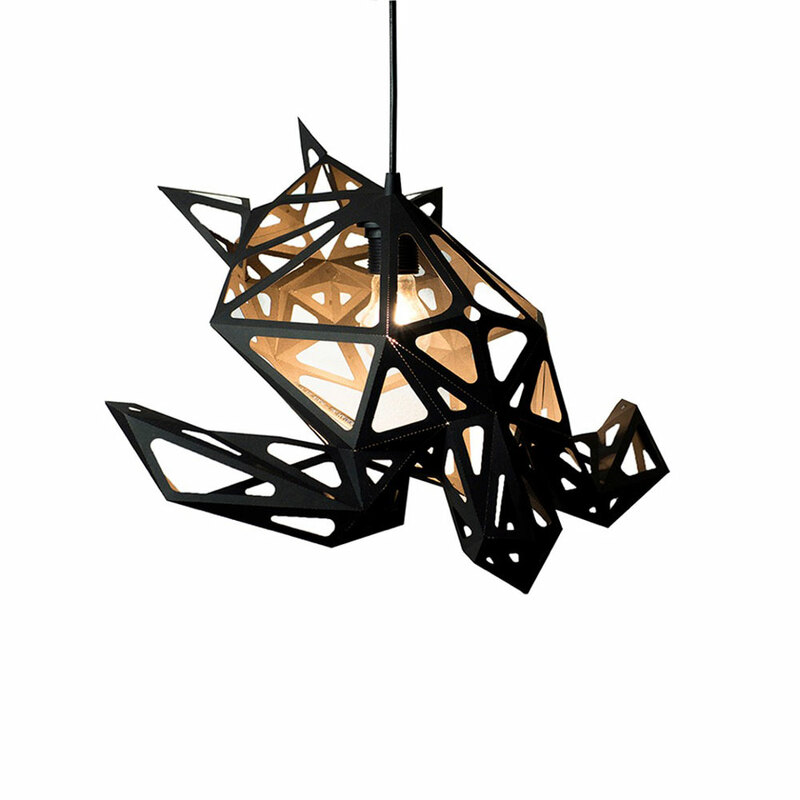 Each lamp is delivered as a flat-pack with handy instructions, so you can make each lamp in no time. The lamps come in different colors and you can even pick between two different types. 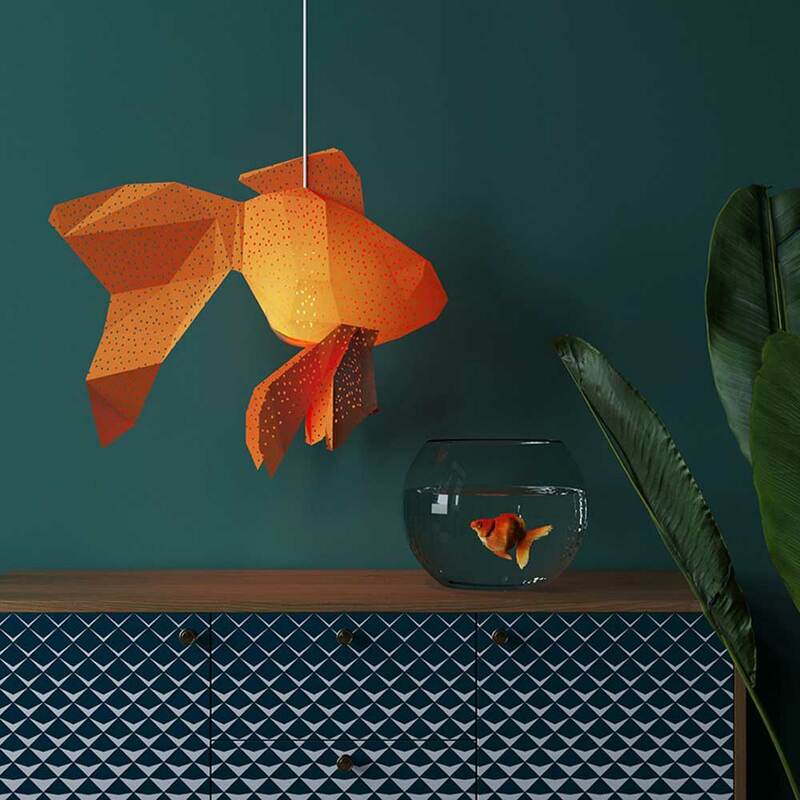 The lampshades are made of templates with dozens of polygons: shapes with straight lines and angles such as triangles and quadrilaterals. 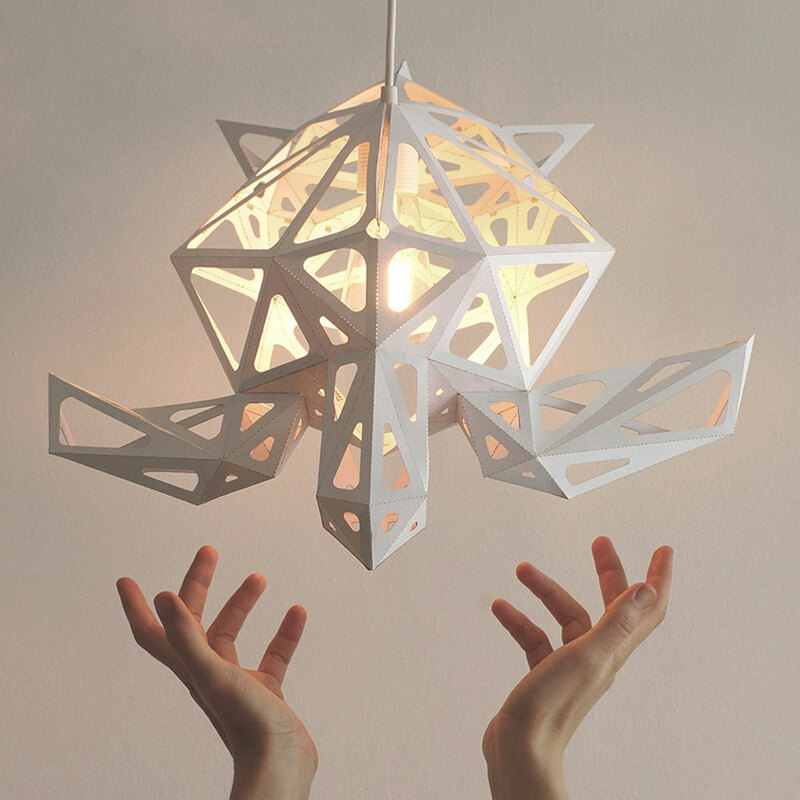 Each lampshade is a little architectural wonder: by simply folding and gluing the polygons together, a sheet of paper turns into a three-dimensional lampshade in no time.